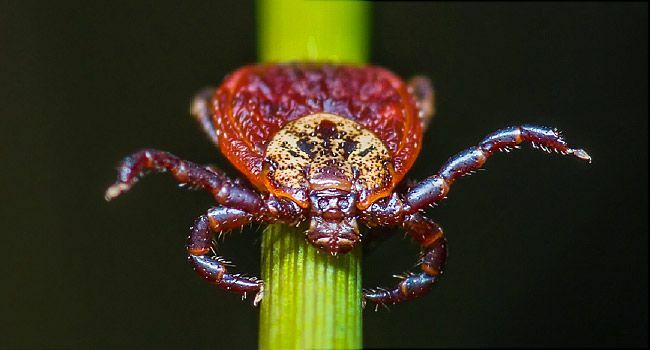 5-year-old Oregon girl was paralyzed by a tick bite. June 12, 2018 -- A Mississippi mother is warning parents to be on alert after her 5-year-old daughter, Kailyn, was temporarily paralyzed from a tick bite. After waking her daughter to get ready for daycare, Jessica Griffin noticed that Kailyn struggled to stand on her own and was slurring her speech, according to news reports. As Griffin began to brush Kailyn’s hair, she noticed something alarming. A tick had embedded itself on her daughter’s scalp. Griffin called her husband, who told her to immediately remove the tick, put it in a plastic bag, and rush Kailyn to the hospital. Kailyn had a CT scan and bloodwork at the University of Mississippi Medical Center, where doctors diagnosed her with tick paralysis, The Washington Post reported. According to the CDC, a nerve toxin found in a pregnant female tick’s saliva is believed to cause tick paralysis. Symptoms usually begin to show about 4 to 7 days after the tick starts feeding. Paralysis sets in slowly, starting in the legs and spreading into upper body, stopping your breathing if left unchecked. Once the tick is removed, rapid recovery is common. Most diagnosed patients recover within 24 hours, and there are typically no long-term problems afterward. Kailyn has since recovered and was discharged from University of Mississippi Medical Center on June 6, Jessica Griffin wrote on Facebook. It was unclear what type of tick bit her daughter. A recent CDC report showed that vector-borne diseases -- those transmitted by ticks, mosquitoes, and fleas -- tripled to roughly 650,000 cases between 2004 and 2016. The vast majority -- or 75% -- were caused by ticks. The report says seven new tick-caused illnesses were discovered between 2004 and 2016. Facebook: Jessica Griffin, June 6, 2018.